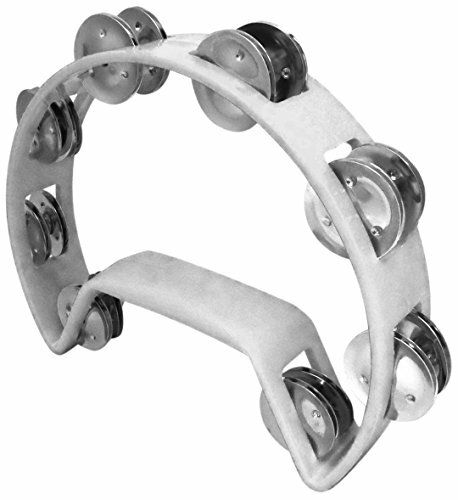 Performance Plus Gospel & Soul Rhythm tambourines have a clean crisp bright sound from 16 nickel plated steel jingles, comfort molded handle, for a controlled grip, sturdy but light weight for extended playing and ease of use. Constructed with an ABS plastic frame includes a double row of eight pair of jingles (16 pairs of jingles). Because of the lighter weight it's great for younger players, or anyone who wants a clean crisp rhythm sound without the fatigue of heavier tambourines. Available in 5 colors, Black, White, Red, Blue and can't loose me Yellow. Fun to use for keeping beat, while listening to your favorite song, or for that creating that great gospel and soul music. If you have any questions about this product by Performance Plus, contact us by completing and submitting the form below. If you are looking for a specif part number, please include it with your message.